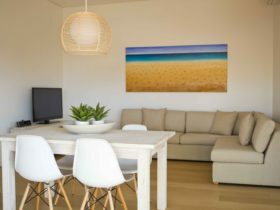 The Pearle of Cable Beach sets a new benchmark for the finest self-contained accommodation Broome and Western Australia have to offer. 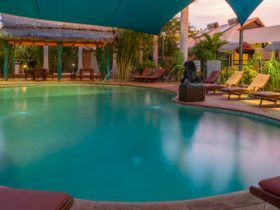 Just a short stroll from the turquoise blue waters and crystal white sands of Cable Beach, you will find the fabulous Pearle of Cable Beach Resort. Situated in one of the worlds most unique and ruggedly beautiful tourist destinations, it offers the perfect blend of modern resort indulgence and Australian outback adventure. Inspired by the exotic pavilion homes of south east Asia, The Pearle offers guest rooms, and one, two and three bedroom pavilion style accommodation. Each pavilion features it’s very own private swimming pool. The Pearle Café overlooks the 25 metre heated or chilled infinity pool. Other facilities include an early or late checkout lounge, resort shop, day spa, wireless internet, guest laundry and tour desk for all your scooter, car hire and tour booking requirements. 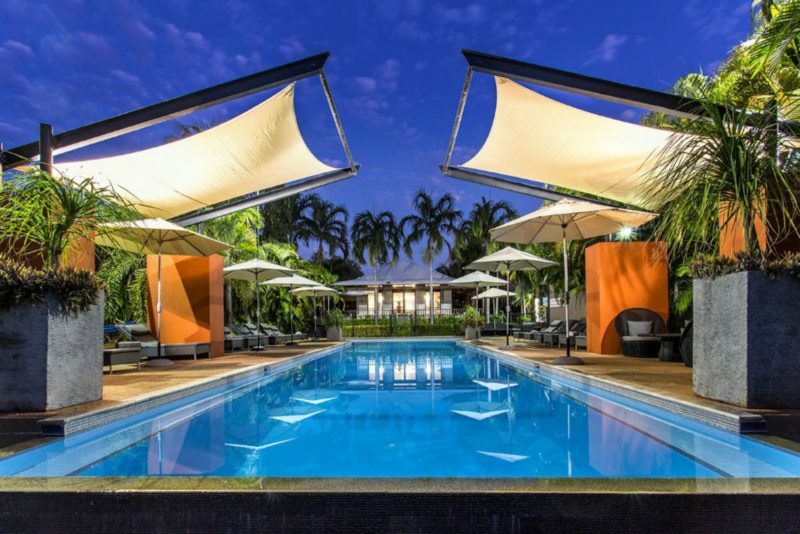 The Pearle of Cable Beach offers an unforgettable holiday experience for the discerning traveller. 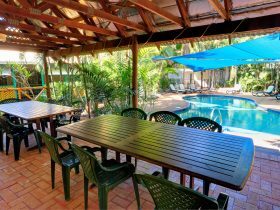 Three bedroom air-conditioned apartment with plasma televisions in each room, fully equipped stainless steel kitchen, spacious living areas, alfresco dining, outdoor timber decks with stainless steel barbecues and private plunge pool. Air-conditioned room with choice of king bed or two single beds, with en suite bathroom. 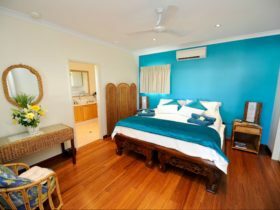 Room features plasma television, Foxtel, bar refrigerator, tea and coffee making facilities and timber decking. 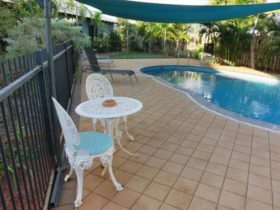 One bedroom air-conditioned apartment with plasma television, fully equipped stainless steel kitchen, spacious living areas, alfresco dining, and outdoor timber decks with stainless steel barbecues and private plunge pool. 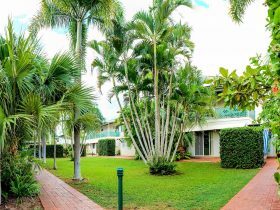 Two bedroom air-conditioned apartment with plasma televisions in each room, fully equipped stainless steel kitchen, spacious living areas, alfresco dining, outdoor timber decks with stainless steel barbecues and private plunge pool.